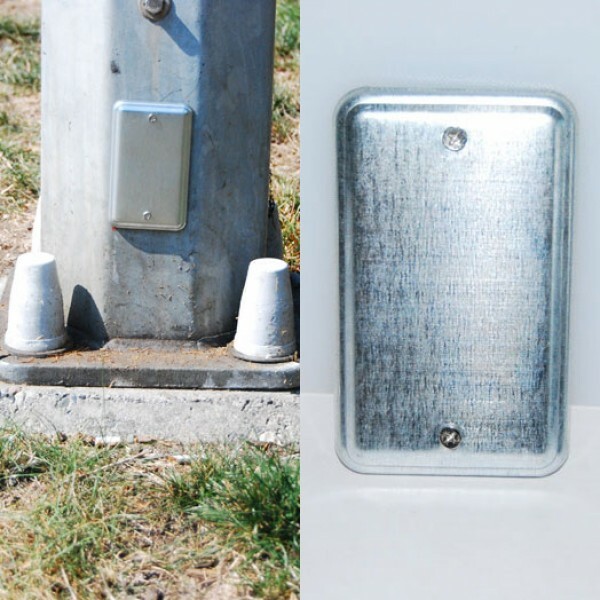 This magnetic micro geocache is perfect for the urban sidewalk. Our fake electrical utility plate comes with 2 magnets for easy placement on any metal surface. In a good location, this cache will last for years. In fact, we've even seen one placed so well, that the city workers actually painted around it! Imperial 2.76" x 4.53" x 0.20"